The Hobbs’ family of businesses, based in Faulkner County, Arkansas, are designed to assist you with all of your residential and commercial building and remodeling needs. Hobbs’ Construction, Inc. has a goal of providing affordable homes for first-time home owners, those looking to up-size and “empty-nesters” wanting to down-size. Whether you have your own land, want to build in one of our subdivision, or have something else in mind, we can make your housing dreams come true. Click here to learn more. Hobbs’ Properties, LLC. offers secure and comfortable rental properties. Rent ranges from $300 to $1,500 a month and properties are located throughout Conway and Faulkner County. Click here to learn more. 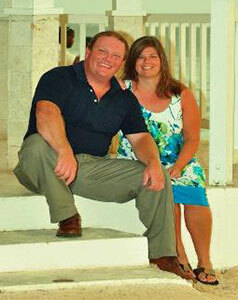 Shayne and Jennifer Hobbs are originally from northeast Arkansas. We moved to Conway in June 1995 to attend the University of Central Arkansas. In 1996, Shayne joined the Conway Police Department as a patrol officer. In 1999, Jennifer graduated from UCA with a degree in Computer Information Systems. Jennifer continued to work for Acxiom Corporation after graduation until 2005. We founded Hobbs' Properties Inc. in 2000 and continued to manage and grow the business until 2006, when we both quit our jobs to work fulltime on the growing business. At the beginning of 2007, we separated our rental and construction company into two entities. We formed Hobbs’ Construction Inc. and Hobbs’ Properties LLC. We have one daughter and live in Wooster.